My second child, a girl, was born in January 2015. I felt the same instant rush of love I felt with my son two years previously – the same desperate need to protect, whatever the cost. Though, I know, this doesn’t always come at first. But I would be fooling myself if I said I felt *exactly* the same about both my children instantly. My son was already a person – walking, talking. He had favourites and things that made him happy and things that made him sad. My daughter cried. A lot. She had severe silent reflux and would sometimes scream from 2pm until she finally wore herself out at around 11pm. It broke my heart – but I found it hard to… enjoy her…in the same way my little boy brought joy with every new thing he learned. He found it incredibly difficult. He cried whenever she cried, retreated into himself. 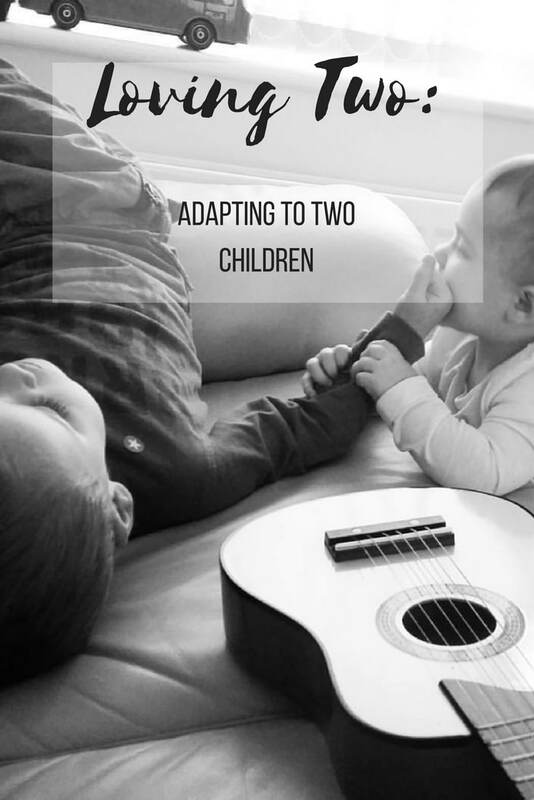 And then, when my daughter was only 6 months old, we realised there was something we needed to address with our boy – peculiar ways of speaking (which I still think are wonderful) obsessive behaviours, developmental delays with his fine and gross motor skills. In August, he was diagnosed with Autism. We are still awaiting the results from his genetic tests. That knowledge has hung over me for 3 months. For 3 months, it has felt like it has been harder to catch my breath – like I imagine being at high altitude might feel. It still feels that way. I am not sure it will ever stop – when the results come, when he’s a grown man. I felt unbearably guilty. Guilty because my son needed me, all of me – I thought, and I had brought another little human in the world to disrupt his routine and take away the support he needed 24/7. Unbearably guilty because my daughter was my child too. I should love her the same. I shouldn’t resent her needing my time, resent her. But I did. Just a little bit. I am not proud. I was terrified for my little boy and I just wanted him in my arms all the time. Often I couldn’t hug him at all because his sister needed me and he wouldn’t come near me while she was there. There’s a poem that does the rounds when you are expecting your second child called ‘Loving Two’ . I read it when I was pregnant and it comforted me. But as the situation developed with my young children I began to fear that I would never feel the way it said I should. My son needed me so much – would I always feel like I wanted to prioritise his needs, but couldn’t, then feel guilty, then rush to my daughter, then feel resentment that I was so torn? And then, just a few months ago, my son made my daughter laugh. Not just a giggle, but a long, drawn out, belly laugh that made her little face turn pink with joy. Her laugh made him laugh and so he did it again. And she laughed again. My daughter laughs often. She slides around the bath like a wet ferret, giggling uncontrollably to herself and hissing and clicking and clacking and gurgling as she learns to use her voice. And I love her. Desperately, madly – as my child, as a person. I love the way she loves my son – another who will love him unconditionally and maybe help to alleviate the loneliness I fear he might face. He still struggles with her. He doesn’t understand her, I think. But we are moving forward together and his acceptance is coming slowly. I love my children. Differently. Equally. Infinitely. Beautifully written. So very simple and eloquent. Looking from the outside in, I think there is still so much fear and lack of understanding around autism. It seems that you have nailed a very basic principle though of starting with love. Looking forward to reading more. A handful of paragraphs, will they ever be enough to sum up the intensity of emotions that you went through? A handful of paragraphs, but such a journey so far! How wonderfully written. It is such a battle of emotions all round isn’t it. I hope you do not have to wait too much longer for the results. But be warned you will probably ride another roller coaster of emotions either way they go. The challenges that are bought about by one or more of your children having autism can be huge, and it does feel like they need ALL out your time and attention. I sympathise with you for feeling torn between the needs of your son and daughter, but glad that they are now building a bond. a lovely read. i don’t (yet) have two but you have eloquently and honestly detailed some of the difficult things you have faced this past year. i can imagine the guilt you must have felt at being torn between your children who both had unexpected needs. just the reflux or autism diagnosis alone would have been tough and demanding but having to cope with both at once plus your regular life takes supermum and you’ve managed to fill those boots 😄. 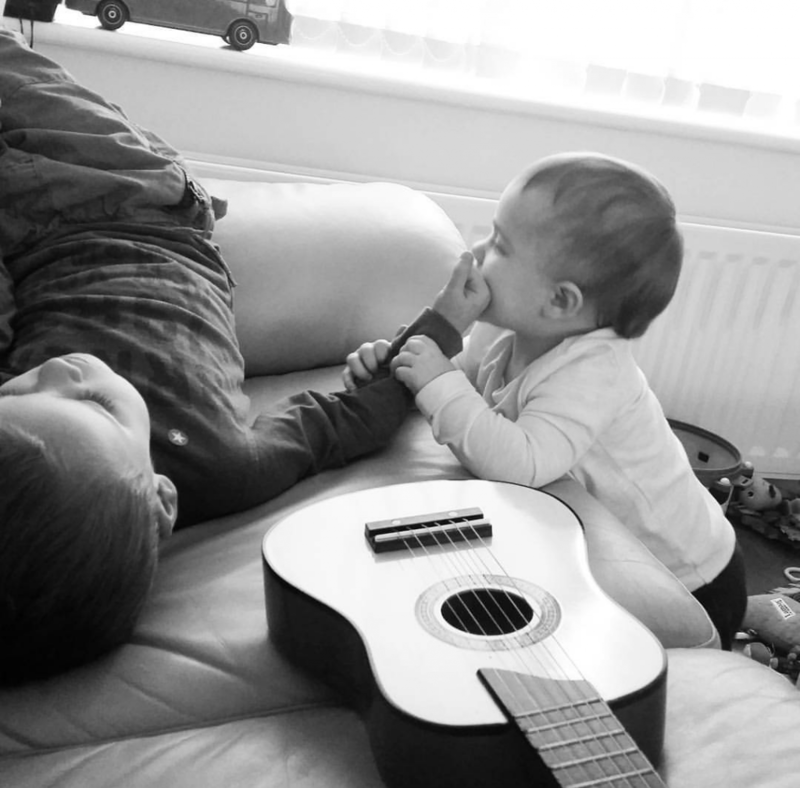 it seems like your dedication is starting to pay off with both children learning how to interract with each other, make each other laugh and enjoy one another. yes your son may find it hard to form relationships with people during his life, but, like you say, they will love each other unconditionally. how lovely it must be for you to see that sibling relationship start to blossom. This post has me in tears, and I have had all of this thoughts, still do. Our little lady came along after diagnosis, in-fact we were told not to have anymore children. I’m glad we didn’t listen. But I have terrible conflicting emotions, she doesn’t get enough attention as he needs so much etc. But in her own right she now demands so much of me. I love them so much and love mow much they love each other. This is a beautiful post. Though I can’t pretend to know how it must feel to deal with autism, I get the I love my children. Differently. Equally. Infinitely. part as we have one biological kiddo and one adopted. And you’re right. They’re different, but they’re also the same. Good luck on the tests. This is so, so, worth a reblog. It is beautifully written and touches the heart. Absolutely Beautiful! It made me tear up. May you always fine so much Peace, Love and Light to guide you on your journey! Such a lovely post and beautifully written too. Aww this is such a lovely post hun.that im sure alot can relate to. we had similar my little girl was really advance in speaking. .. and spoke from a early age. My little boy started walking at 8 months which was amazing. But words seemed to not be coming we kept putting it off trying to not compare the 2 children. A year passed and then 2 years then other things started becoming noticeable too in his behavior. We started to wonder if was something else going on and then when he started nursery they picked up on it too. So beautifully written and my own story is so similar . My son was 4 when my daughter was born ; she cried an awful lot, which he hadn’t . It was when I was at home with them both on maternity leave I started to think there might be something more going on with my son than bad behaviour , and he’s just got his ASD diagnosis . They are such different personalities , I love them both the same amount , but differently . Reading this helps others so much! I have two smallies also and it is a tough ride at times. It sounds like you are doing great though!